Prayerbooks are a unique technology adapted for specific use. In what way would you improve them for your use? What innovations would you offer for adoption, adaptation, and re-distribution in your community? The enhancement of human capabilities through tool design is a working definition of technology -- a definition that embraces social conventions, media, diagrammatic, and language tools as technologies just as much as any innovation in circuit design. As new lifeways emerge adapted to these tools, new designs are inspired, optimized for different circumstances and contexts. 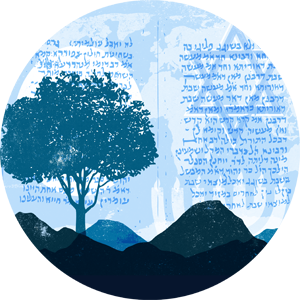 In this talk, we explain the purpose and role of an open-source Siddur for preserving historical and contemporary prayers and related work for use in the craft of new prayerbooks by practitioners and the study of prayer literature and praxis by scholars, students, and educators. Aharon Varady is a Jewish Educator (JTSA/Davidson, 2013) and Community Planner (UC/DAAP, 2004) concerned with proprietary control of shared communal resources and with improving cultural fluency in the Jewish imagination. Besides directing the Open Siddur, an online and open-source prayerbook publishing project, he teaches Jewish myth and rabbinic lore through Midbar Quest, a guided adventure roleplaying game published through his libre Open Access independent publishing house, Dimus Parrhesia Press. In 2012, the Atlantic Magazine interviewed him on his advocacy for Open-source in Judaism.